How To Relocate To London Like A Pro? Through my years at London Relocation I have met a lot of people who were thrilled with the idea of moving to London. I have also met countless others who were terrified of the whole relocation to a new city thing. I take great pride in the fact that London Relocation could help the people from both categories to settle in. How do we do it? Frankly, the whole thing is rather simple for us. Our company has certain guides and arrangements with all kinds of service providers from real estate agencies to moving services and beyond. We’ve been in the business for 20 years and we know which strings to pull to get the best results. Other people do not have the same luxury. But they still need help, don’t they? This is why I chose to create this handy little list of tips to ensure that your relocation flows as swiftly as possible. People tend to lose or forget important stuff while moving to a new city. This may or may not happen to you, yet it would be best if you were to accept this possibility early on. That noted, you can prevent the loss of belongings that are dear to your heart or at least get a higher chance of having everything you need in London from the start. Start with making a checklist. Make it as robust as possible. Don’t just list material belongings in it, because some of them might simply slip your mind while you write everything down. I would suggest for your checklist to be task-focused. “If this, then that” is a great format for a splendid checklist. Here is an example: If I want to use my phone, I will need the phone, the charger, my WiFi router, a new SIM card and a new service package in London. If I want to start working ASAP I will need my laptop, a charger, a WiFi router, a set-up internet line in my new home, my files and the books from my cabinet. Etc. Please also make sure to check your list with certain regularity Have an eagle eyed look on it a month before you leave, two weeks, one week, a couple of days and one day. Moving tech around seems simple. Shove it in a box, mark the box and you are done, right? Well, yes, if you don’t like it and wish to replace it with something new when you arrive. Tech nowadays is sensitive. Screens tend to crack, wires tend to get lost, etc. We’ve had a case once when one of our clients forgot to remove the cartridge from his printer before packing the whole thing and what he got when the boxes left the plane was a pile of black-as-night ink-covered devices. So yes, if you have a printer – remove the cartridge before transporting it. Cover the corners of the tech and cover the screens if there are any. Use separate zip bags for wires and mark every bag with the name of the device it belongs to. This will save you a lot of nerves and effort while plugging everything in. You are moving to a totally different city with new people, new buildings, new stores, new banks, new everything. Picking just one off the bat is never the best choice. More on the matter, learning about just one agency or service provider is a bad decision. We have a network of 80 agencies we work with to satisfy the diverse need of our clients. Same should be said about you. Just think about it for a moment – your agent will be your badge into the new community you’ll live in. He will tell you about anything and everything you need to know about the neighborhood, local prices, people who live near you, etc. And every one of your agents will be talking about a somewhat different area, because that’s how they work. So why not check out everything that is offered before making a permanent choice? Lastly, we’ve had a couple of cases where our clients faced a bizarre situation: their network at home new they have moved, but never knew where to. 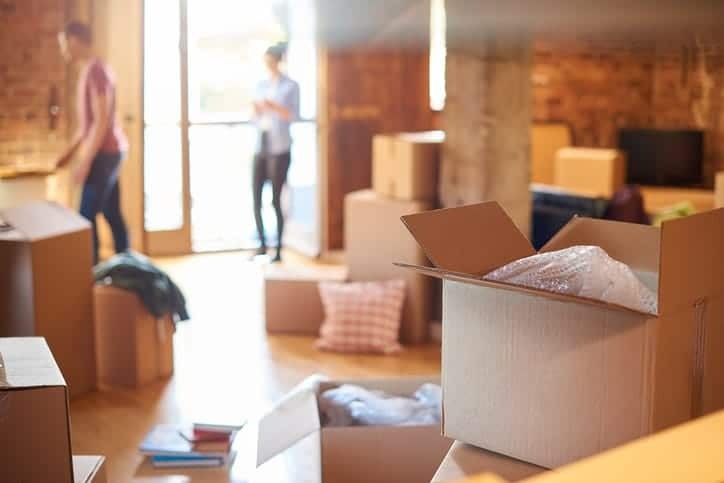 Just as the old saying goes, we tend to appreciate what we have lost and you will be bombarded with questions from people you barely know about your move. Just imagine the panic your colleague who you are not friends with on Facebook remembers about that important document he needed you to check out and you are gone now. The poor soul will freak out and that soul will also irritate the hell out of everyone else before finding your contact details. Save yourself and others the nerves. It is better to make it known to everyone who needs to know with explicit details like your new address, zip code, phone number, etc.